Enjoy spring nights in spooky style with the Obscura Society new graveyard tour. Woodlawn Cemetery was built in 1863 in the Bronx and houses such notable names as Herman Melville, Duke Ellington, Miles Davis, Rowland H. Macy (founder of the department store), F.W. Woolworth (founder of the other department store), Joseph Pulitzer, and James Cash Penney (yes, JCPenney). 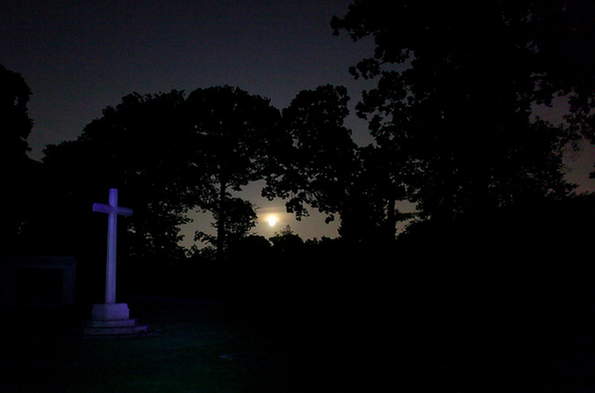 The nighttime tour will allow visitors to explore – by flashlight – the graves of Elizabeth Cady Stanton, Fiorello LaGuardia, and robber baron Jay Gould. Saturday May 3rd, 7-9 pm; tickets $25, advance purchase required.